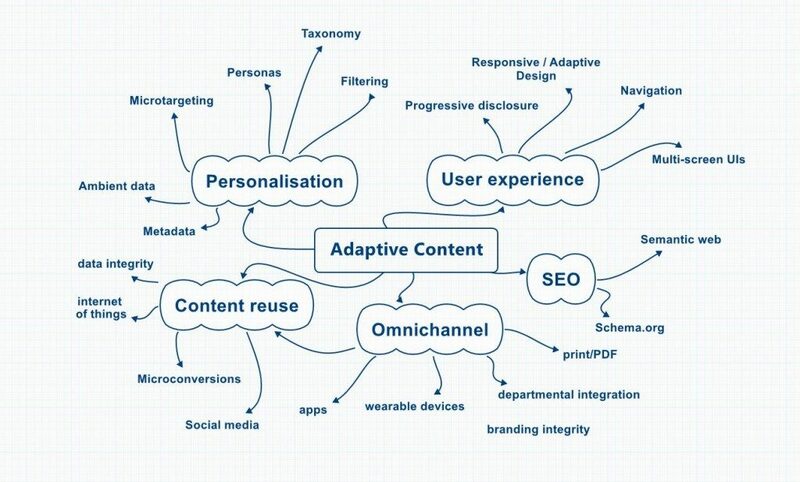 A unified adaptive content strategy is the foundation on which to transform an organization’s content into a future state in which it is usable, reusable and findable. It is driven by the fact that content is developed and managed for different audiences, channels and publishing vehicles in a systematic way. Moreover, it is designed to manage documents as a set of components or reusable parts. This not only produces more valuable content but does so more efficiently over time. Is your content a disposable artifact or an investment in a digitally transformed business for the multi-device environment in which we now live? Size: How much content do you need? These three concepts are the core of the architectural and technical decisions from which we can create a unified content strategy that will transform your organizations’ content into a usable, findable future state.